Our factory hires more than 6,000 skillful workers, under professional and ISO 9001 certified management. With strict QC (quality control) management and innovative R&D (research and development), the quality is always guaranteed. After the expansion held in year 2000, the monthly production increased over 75% from last year. 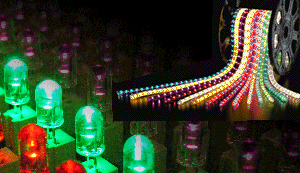 It is to cater for the continuous expansion of Flexilight market share and the development if new product market. With the expanded production, we can achieve a higher operation and cost efficiency, which can eventually enhance the cost competitive of our products for our customers. Safety is the first issue we most concern about our workers. 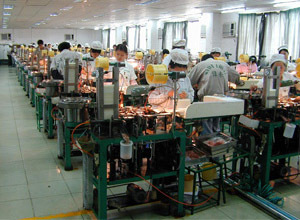 The workers have to put on the safety dresses such as goggles and safety mask. Our technical and engineering team keep looking for new techniques to improve the existing technique as well as to improve the degree of safe during the industrial process.